It’s no secret that I’m a horribly nostalgic guy. When I’m creating my posters or sketching my little characters it feels like it could be 1983 all over again. I was 6, sitting at the top of the stairs and drawing on all the typewriter paper in the house. From ’80 to ’85 my family lived on the military base in Kingston, Ontario. Every few months I log into Google Earth to look at the old neighborhood. Trees that are still there, parking lots me and my friends would drive our BMXs through, tracing my walk from home to the nearby Lundy’s Lane Elementary School. Our time in Kingston was one of the best of my life. We had so much fun. Feeling a bit nostalgic this morning, I dropped into Google Earth to have a look at the old house. 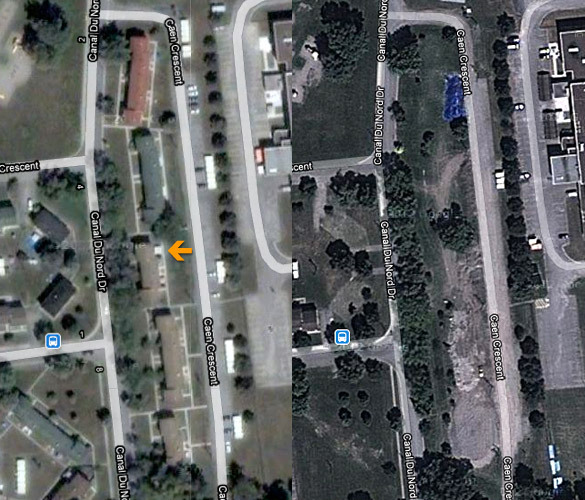 To my surprise and sadness, our house along with all the others on the block had been torn down in recent months. Couldn’t believe it. In my head I figured that house would last forever. Big and strong. I had planned on making a trip to Kingston to walk around the neighborhood and re-trace my walk to school which I hadn’t done in 27 years. Guess I should have gone sooner. Geez, I can still hear the distinctive sound the cupboard doors made when they closed. 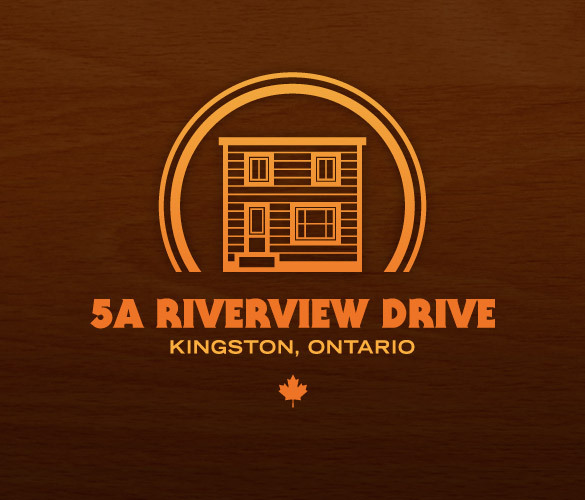 So this post is for you, 5A Riverview Drive, Kingston, Ontario. There’s no way I’ll ever forget you. 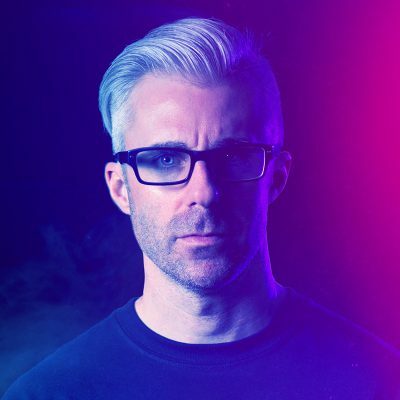 Sad to hear, man. Childhood homes have so many memories, don’t know what I would do if mine was torn down. Always hoped I would buy it one day. I know the feeling, a similar sort of thing happened to me a few weeks ago. I just drove through CFB Kingston. Looking for my old house on Riverview Dr. 1984-86. Could not find it, saddend. Thanks for the article. Made me feel better.